Ousmane Ndiaye, Head of Research and Development, National Agency for Civil Aviation and Meteorology, Senegal chats with Wilfran Moufouma-Okia, Climate Science Expert, UNECA, after the conclusion of events in the Africa Pavilion on Saturday evening. 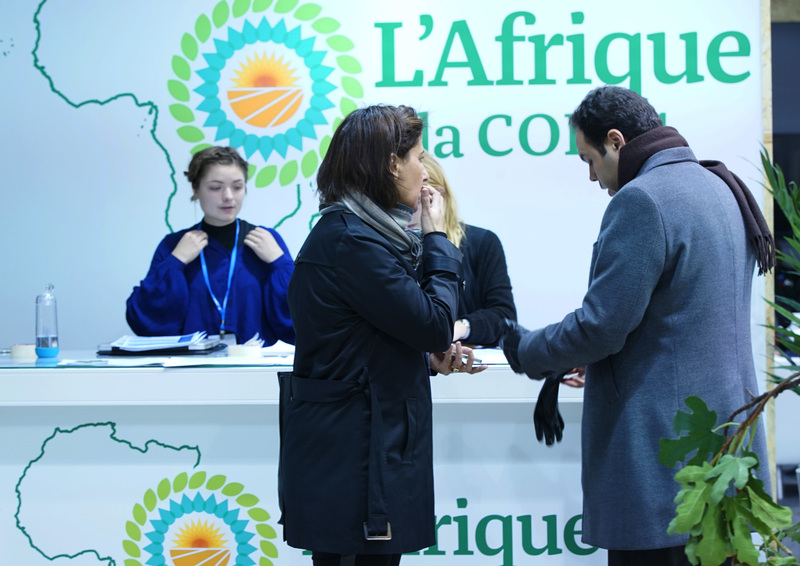 Will Paris Pave the Way for Africa's Prosperity and Transformation? 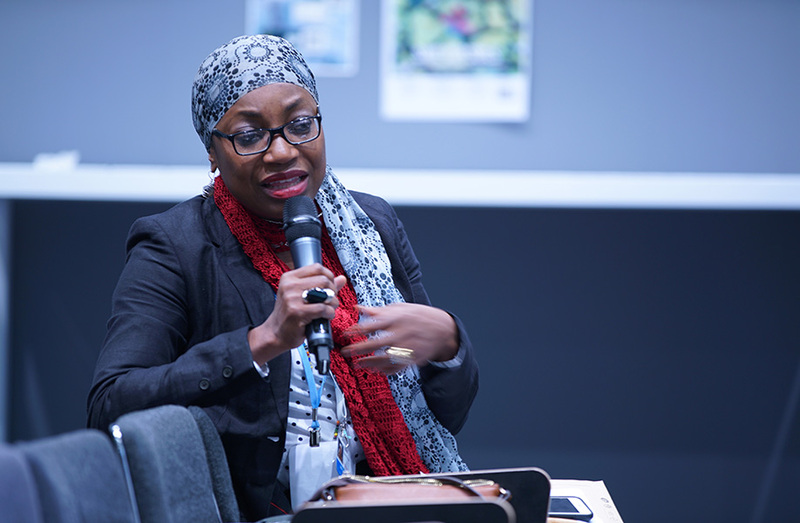 This event was moderated by Sandy Thomas, Director, Global Panel on Agriculture and Food Systems for Nutrition, and explored the policies needed to achieve food and nutrition security in the face of climate change. 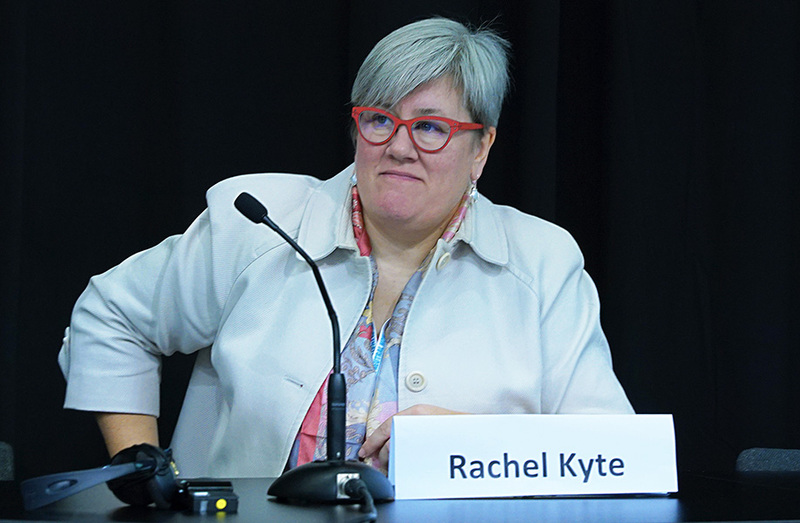 Rachel Kyte, Vice President and Special Envoy for Climate Change, World Bank, noted that food and nutrition security has had a “rocky ride” throughout the history of the UNFCCC. 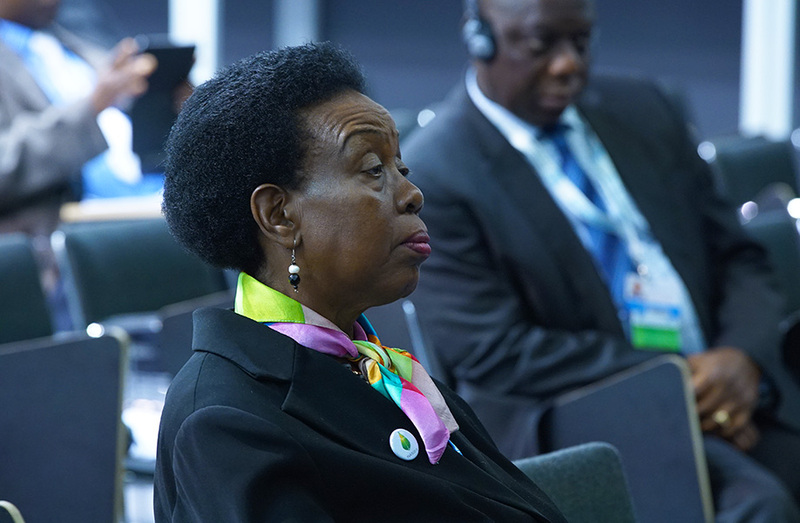 Attempts to put agriculture and food security on the agenda, she said, are often rebuffed such as in the case of the workstream that was established at COP 17 in Durban and then removed at COP 18 in Doha. 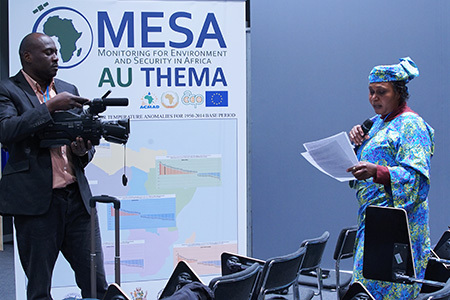 She noted Africa is on the frontline in terms of both solutions and challenges regarding food and nutrition security. 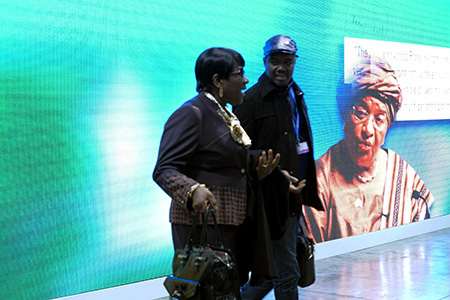 She said Africa can feed itself with improved research and innovation in agricultural trade logistics, food infrastructure and storage and with increased public private partnerships. She said that “we can’t consider ourselves resilient unless we can provide nutritious food” and she expressed hope for increased courage at the global level to address food and nutrition security. 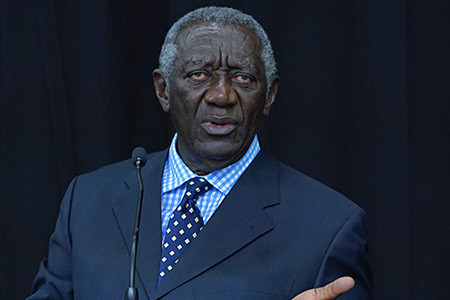 John Kufuor, former President of Ghana, noted the conversation about nutrition is essentially a conversation about science that “does not come easy to the ordinary people.” He highlighted that if the food is not nutritious people may suffer stunting and anemia, productivity will be compromised and contributions to social development will not be optimized. He noted that due to malnutrition African children are at a disadvantage compared with their counterparts in Europe and North America. He highlighted that balanced diets are not a luxury but a necessity and that “what comes out of the land in Africa must be nutritious.” He outlined the need for informed policymaking to ensure that agriculture supports food and nutrition security and he called for leaders on the continent to cooperate and show the way for the people. James Kinyangi, Regional Program Leader, CGIAR Research Program on Climate Change, Agriculture and Food Security (CCAFS), outlined that climate change will cause the cost of staple foods to rise with the consequence being that poor people will cut the quantity and quality of food they eat. 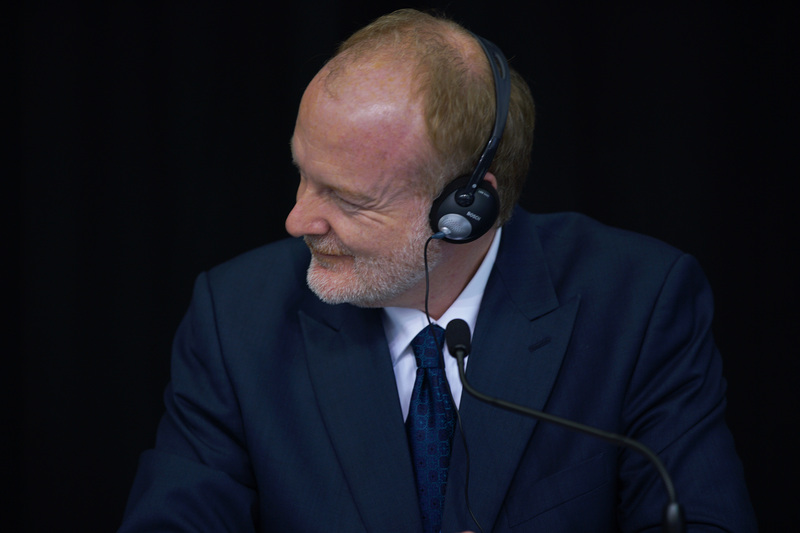 He noted nutrition security is a significant problem that needs continued focus and dialogue. He said lack of food security can lead to political instability as seen in some parts of the Horn of Africa. 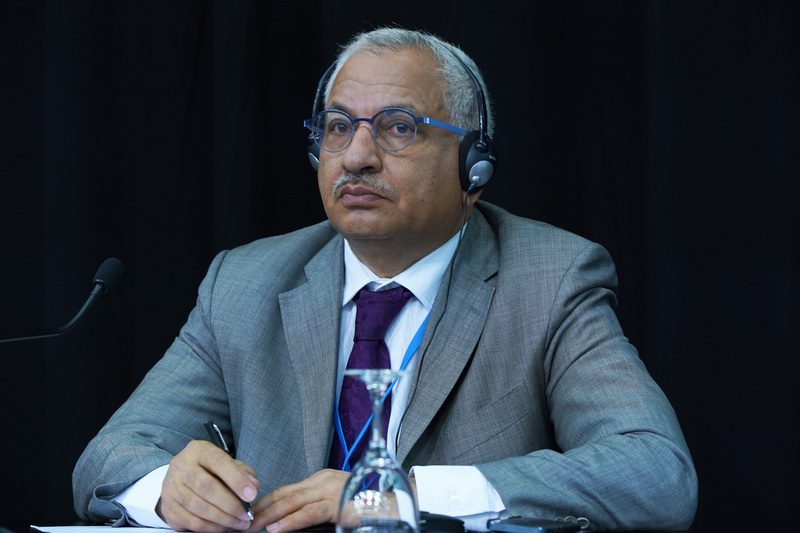 He highlighted the need for investments in nutrition to be “climate proof” and for improved food infrastructure and storage systems to avoid food loss and waste. 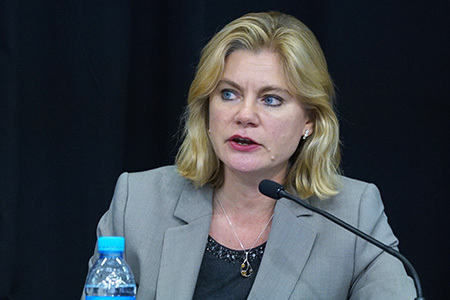 Justine Greening, Secretary of State for International Development, UK, said “hunger remains a hidden emergency that is easy to lose sight of,” and thus makes up a significant part of the UK’s development work. She highlighted the need to help Africa with nutrition and food security saying “a healthy economy needs healthy people” and that investing in nutrition is not just the right thing to do but also the smart thing to do. She noted the importance of women in the agricultural sector and said the economy can’t grow if half the population is left behind. 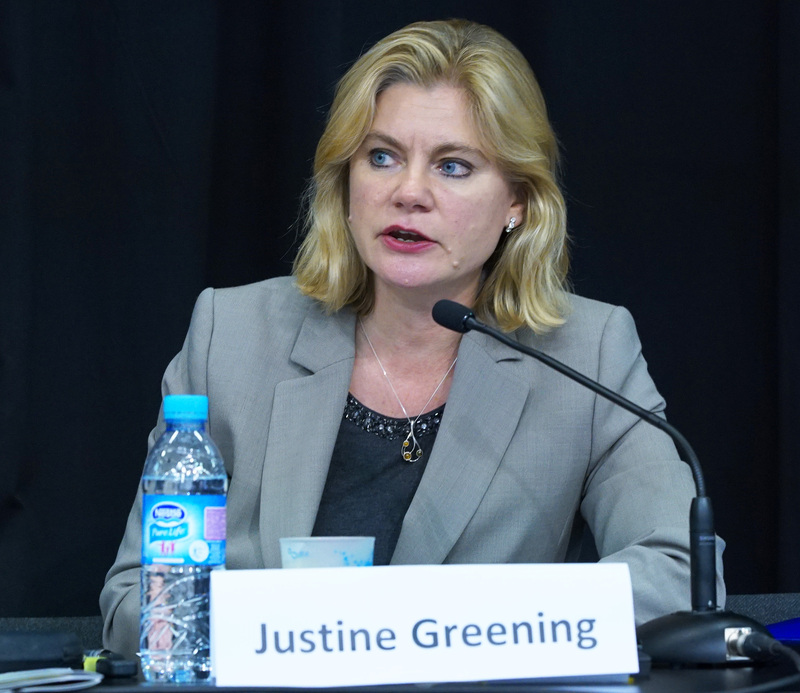 She outlined the return on investment in nutrition where for every £1 spent £16 worth of value is generated. 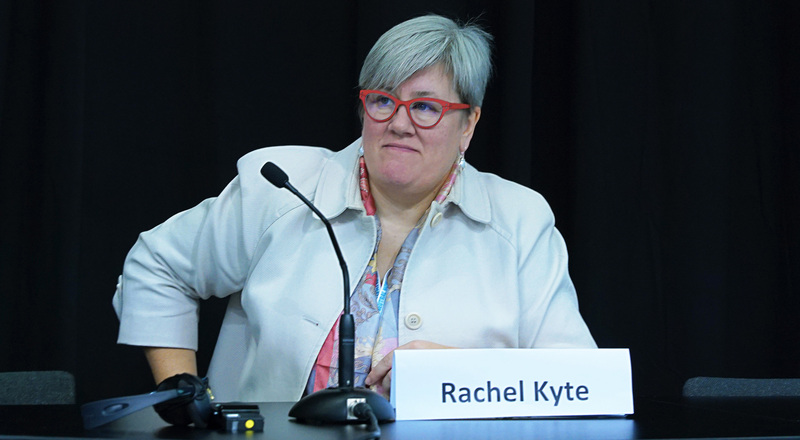 She noted that climate change can undermine progress made in food security but that the changes in some respect also can be harnessed for positive gains. 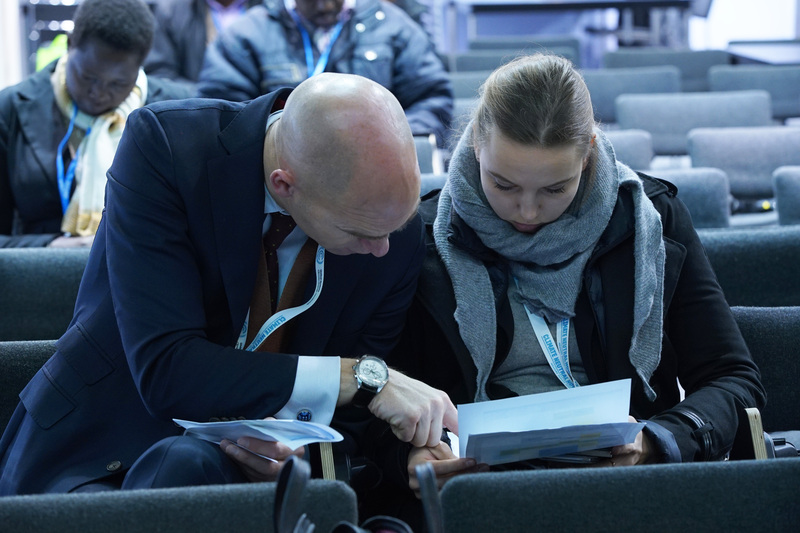 Discussions ensued on: promoting a focus on food systems; changing mindsets so that people want to be included in policy development; and working with the private sector. 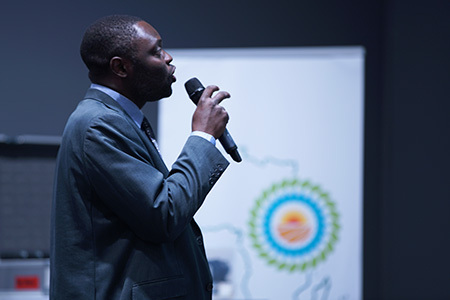 This event focused on the question of whether or not Paris will pave the way for Africa’s prosperity and transformation and was moderated by Shri Prakash, Distinguished Fellow, TERI. Rajendra K. Pachauri, Director-General, TERI, former Chair of the Intergovernmental Panel on Climate Change (IPCC), said via video message that “it is obvious that we are not on the path to sustainability” and that an enormous effort is needed to reach sustainability. He highlighted that according to the IPCC’s 5th Assessment Report the poorest of the poor are the most vulnerable to climate change. 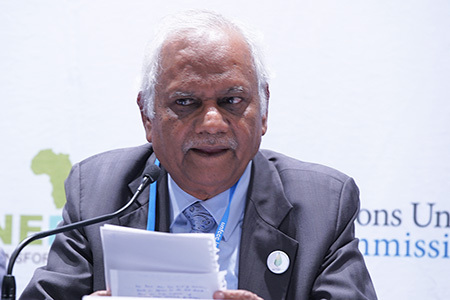 He underscored the importance of South-South cooperation and cited it as one reason for TERI’s presence in Africa as well as its focus on adaptation to climate change and knowledge sharing with other parts of the world. 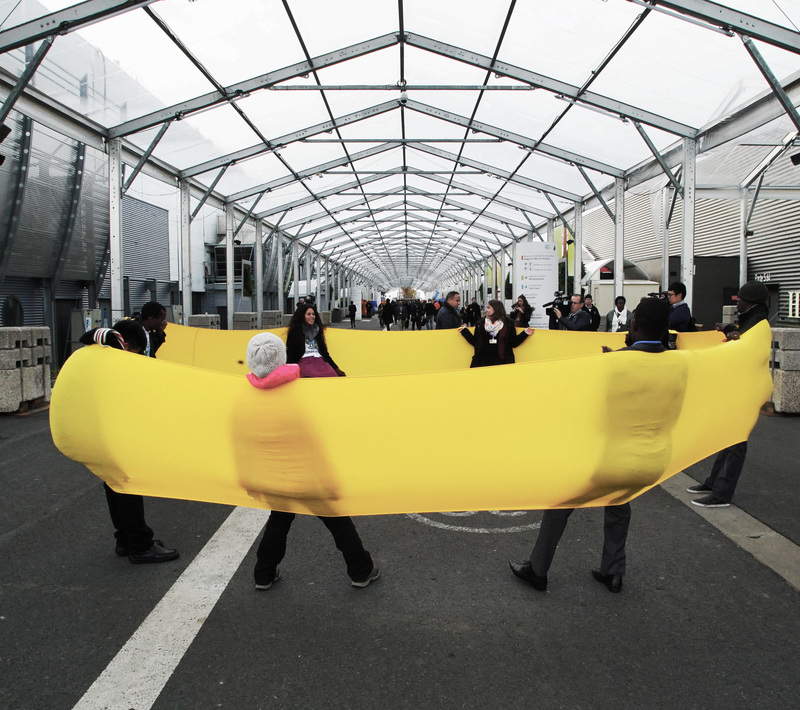 He emphasized the need to “join hands” to bring about the transformation that is required. 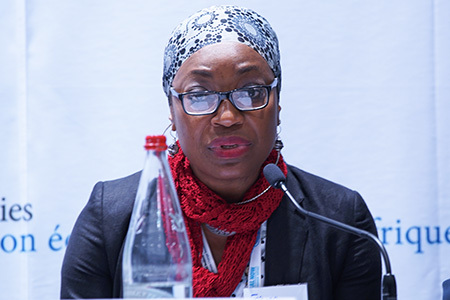 Fatima Denton, Director, Special Initiatives Division, UNECA, said Africa is by default on a low carbon pathway as the continent accounts for less than 5% of global emissions. 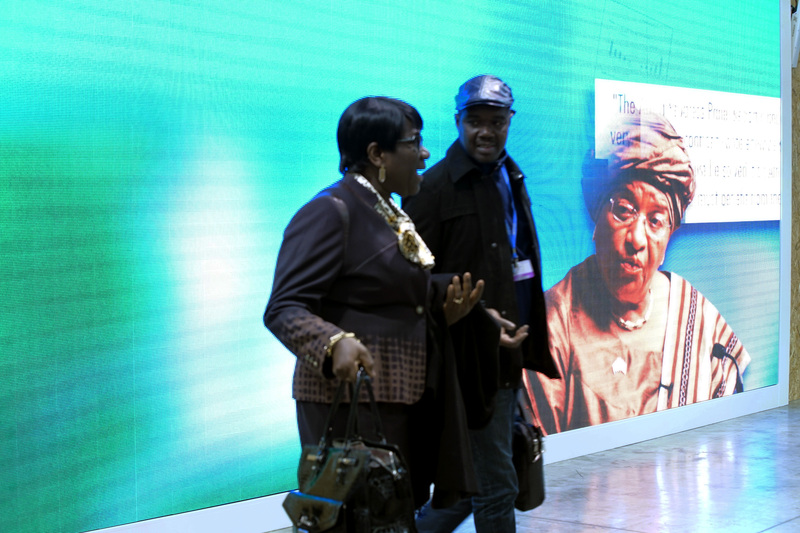 She also highlighted the many frontrunners that are already acting in Africa such as Ethiopia, Rwanda, South Africa and Benin. 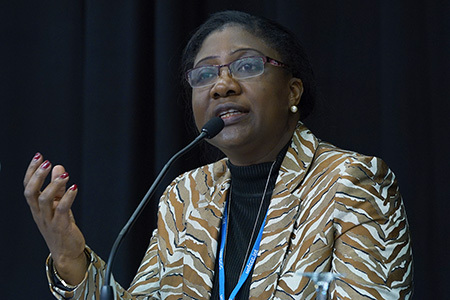 She emphasized that it is a strategic choice for Africa to get it right the first time with regards to low carbon development and that it will cost a lot of money for African countries to implement the very ambitious Intended Nationally Determined Contribution (INDC) targets. 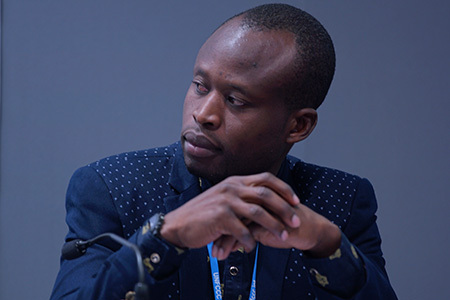 Abel Musumali, Executive Director, Eastern and Southern Africa Youth Climate Alliance, said sustainability is the concept of the century, that for Africa what matters is finance and technology and that it will be very difficult for the COP 21 negotiations to meet the expectations of Africa. 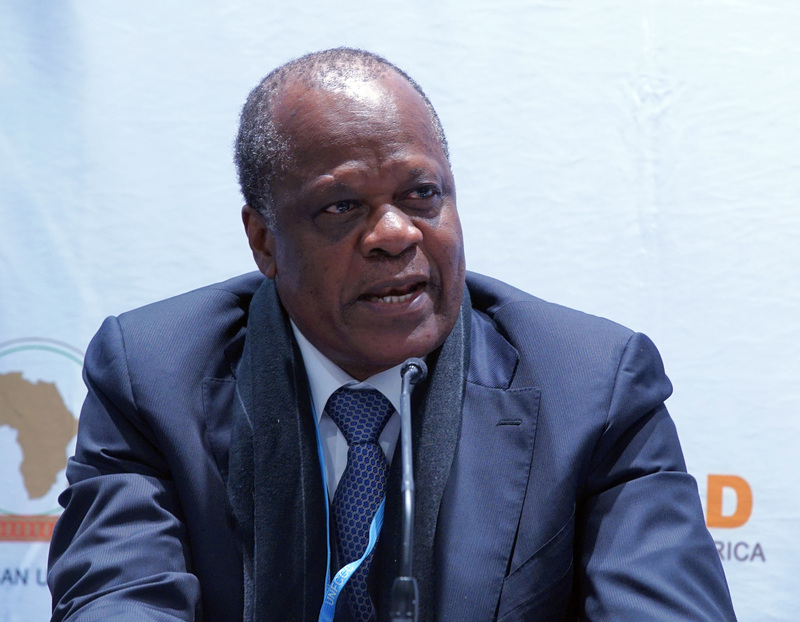 He highlighted that the sustainable development goals cannot be achieved if climate change is not tackled and that African counties need better policies to be able to achieve their INDCs, in addition to increased international finance. 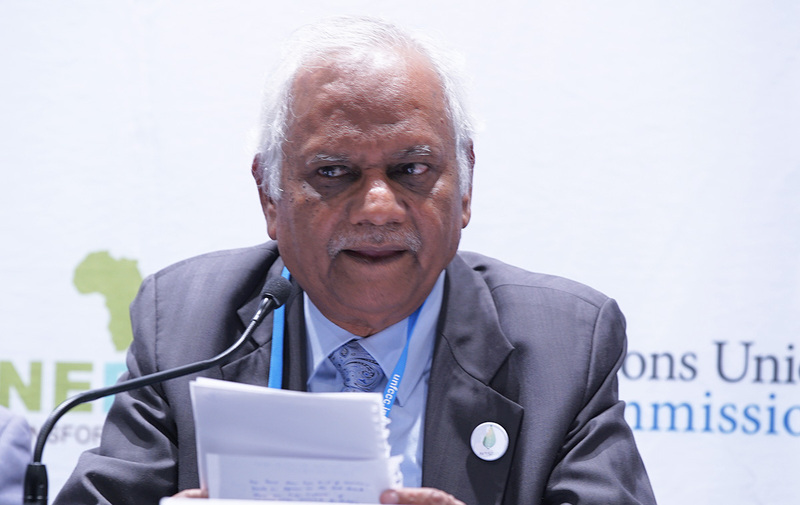 He highlighted the critical need for civil society organizations to participate in the UNFCCC process and to engage with government to develop policies that are sustainable. 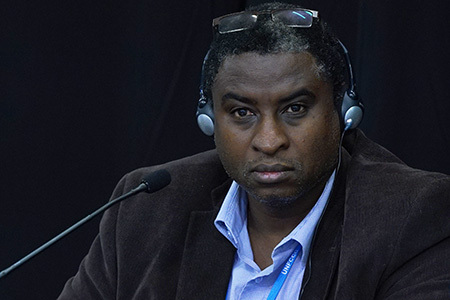 Youba Sonaka, Advisor, South Centre, University of Surrey, said African countries have not waited for Paris to start initiating activities, noting in particular the newly launched African Renewable Energy Initiative. 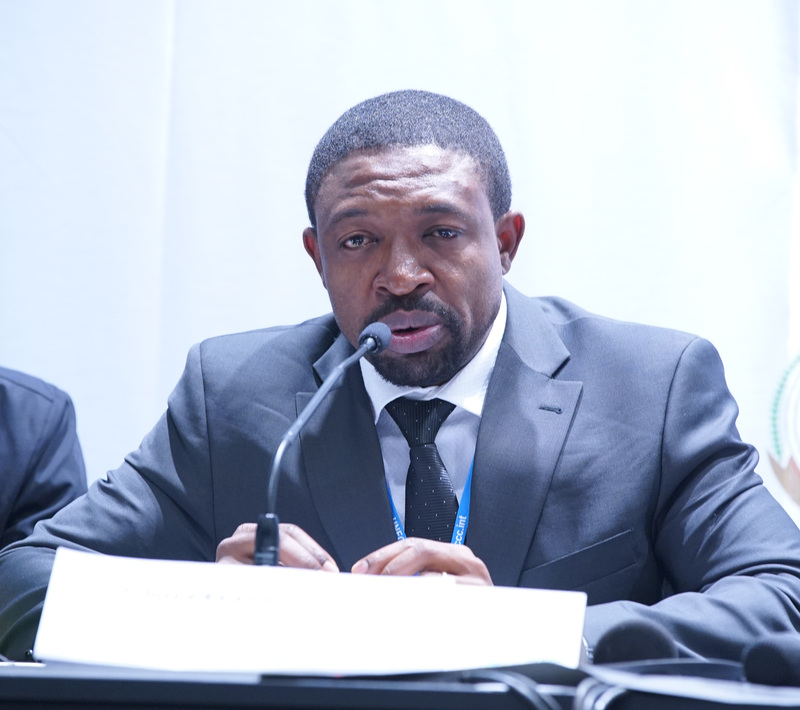 He highlighted that there is a lot of human capacity in Africa and it just needs to be mobilized. 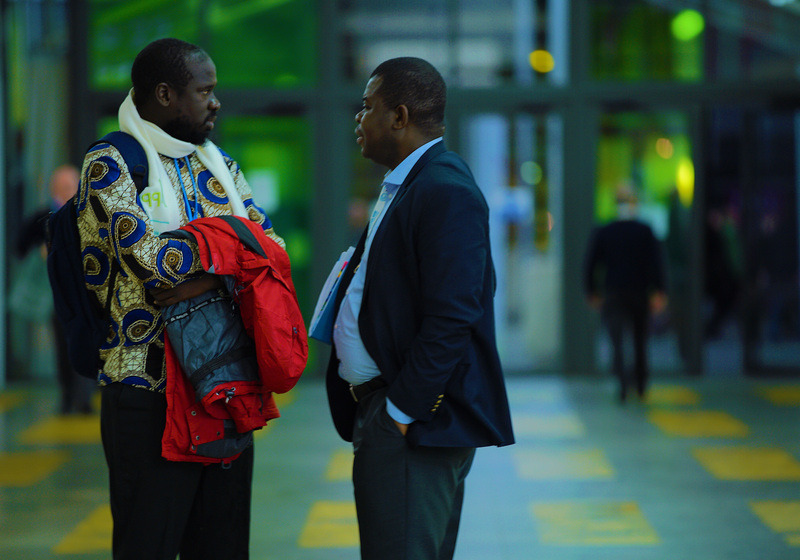 He said that Africa is a very rich continent and that all types of renewable resources are available. 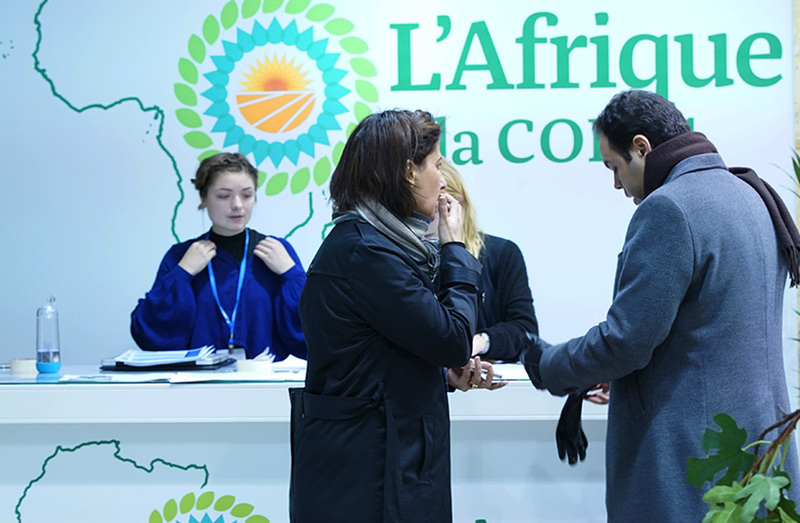 Muawia Shaddad, President, HoA-REC, said Paris will not pave the way for Africa’s prosperity and transformation. 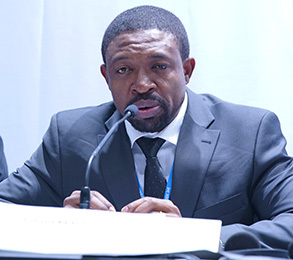 He noted that Africa has to adapt to climate change—“a situation for which we are not responsible”—and that Africa must conserve its own natural resources. 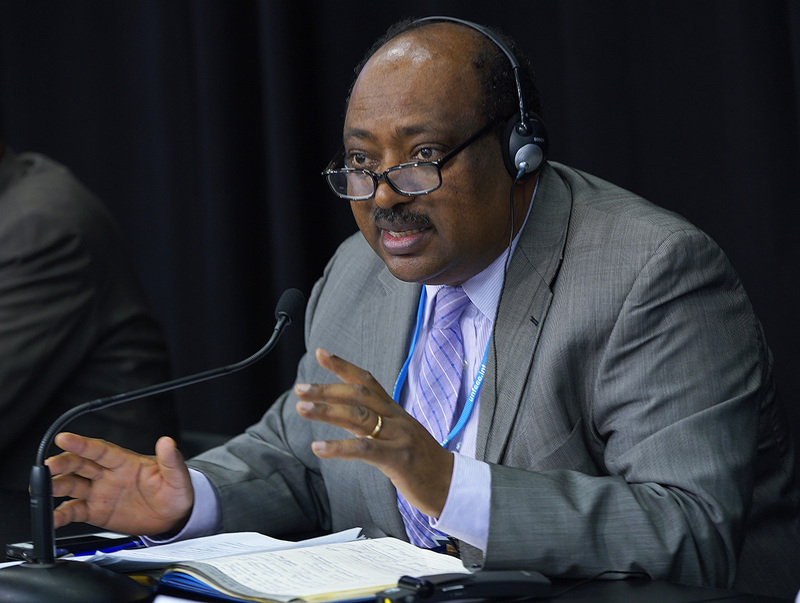 He noted Africa’s right to financing for adaptation and mitigation of their insignificant contribution to global greenhouse gas emissions. Participants discussed, amongst other things: whether Africa should sign the agreement in Paris if it does not reach at least half of their expectations; the vision for Africa’s industrial future; the different business case scenarios for mitigation and adaptation in Africa; and the role of the private sector in promoting renewable energy. This session explored the best ways to mobilize climate financing for green growth in Africa. Mahua Acharya, Assistant Director-General, GGGI, introduced the panel and framed the discussion around finding ways to finance projects and infrastructure that not only provide sustainable development but also help reach climate mitigation targets. 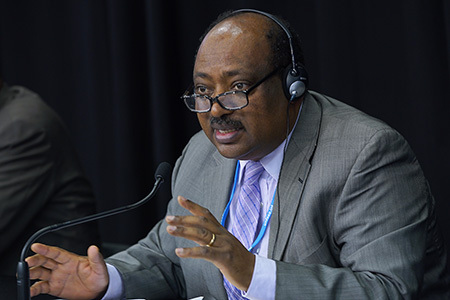 Admasu Nebebe, Head, CRGE Facility, Ministry of Finance and Economic Cooperation, Ethiopia, explained that the Facility is a unique instrument to mobilize public, private, local and international climate finance by blending resources and serving as a convergence point between different actors. 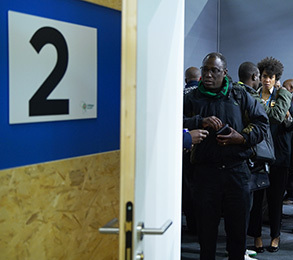 He underscored that it is essential to have a clear vision for the future, such as Ethiopia’s plan to use green growth to drive economic progress and graduate from least developed country status by 2025. Alex Mulisa, Coordinator, FONERWA, Rwanda, said that his country’s commitment to green growth is borne out of the challenges it faces and a desire to avoid imitating the unsustainable growth patterns of other countries. 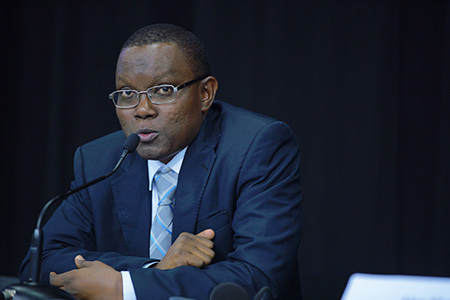 He noted Rwanda has already mobilized US$100 million by targeting the private sector and non-government organizations and he highlighted the importance of partnerships. 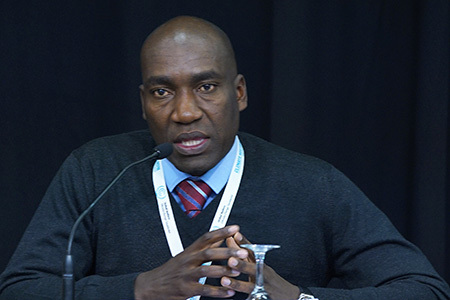 Souleymane Diallo, Deputy Minister, Ministry of the Environment and Sustainable Development, Senegal, said that Senegal has been a full member of GGGI since 2014 and has set up its own national climate fund. 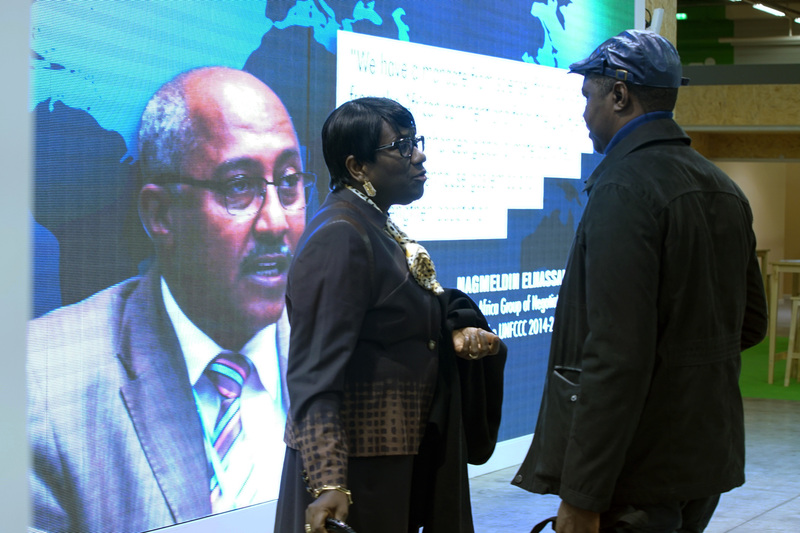 He introduced the Emerging Senegal Plan which aims to ensure a responsible development path and sets out priority areas for the country. 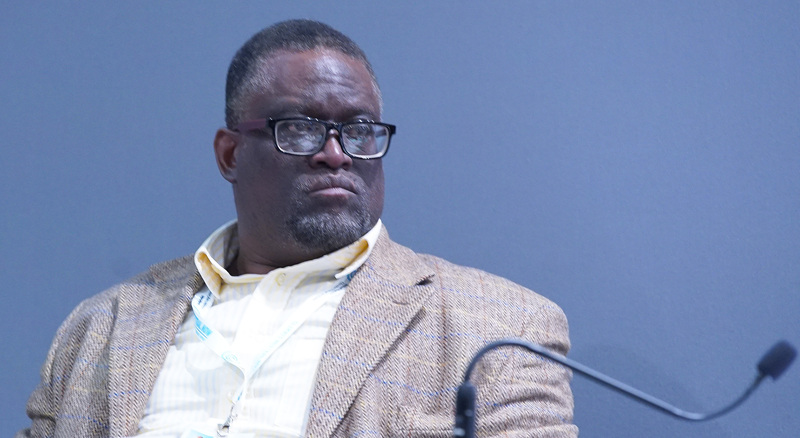 Following the opening statements, Miles Austin, Head of Green Investment Services, GGGI, addressed questions to panelists on: where and what kind of additional support is needed; how to unlock technology transfer; and using the private sector as an engine of change. Alex Mulisa talked about the benefits of a knowledge-based society. On capacity building, he said it is crucial for interventions to be targeted because there are many areas that Rwanda can handle independently. He also highlighted the need for African countries to learn from each other and tap into the African diaspora and the resources it offers. Souleymane Diallo underscored vision and leadership as success factors and noted the need for support in capacity building. He said it is important to have accredited institutions such as national banks in order to receive more financing. 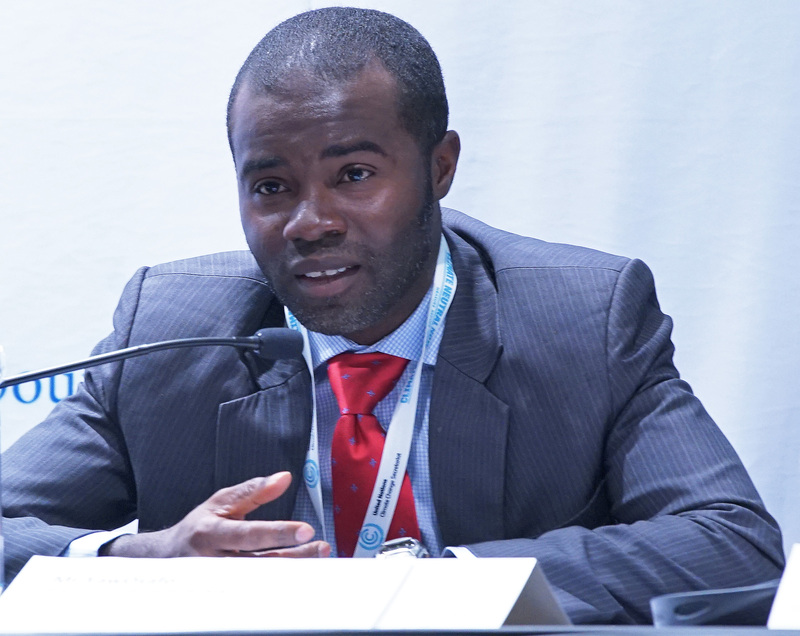 Admasu Nebebe said GGGI’s support in capacity needs assessment has been useful to determine areas that require technical assistance. He echoed comments on the importance of South-South cooperation and highlighted partnerships with countries like Vietnam. 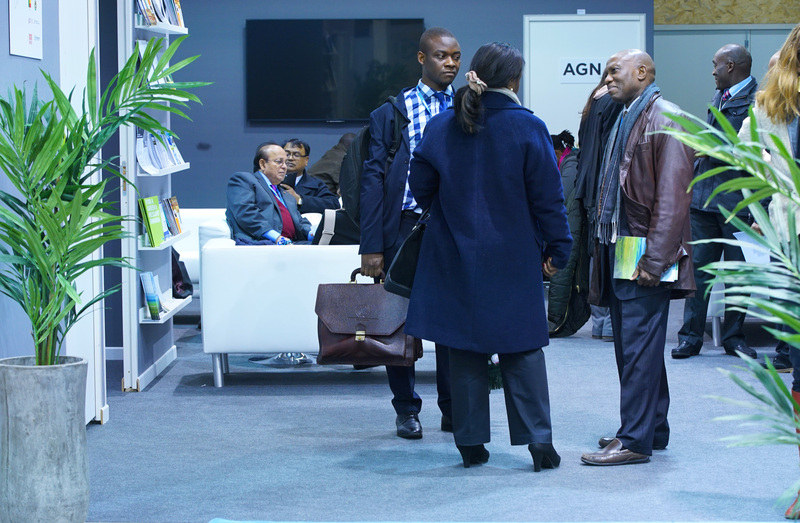 Some of the discussion centered on the Green Climate Fund (GCF), with Alex Mulisa noting the importance of having specific, bankable projects that can be presented on an on-going basis. 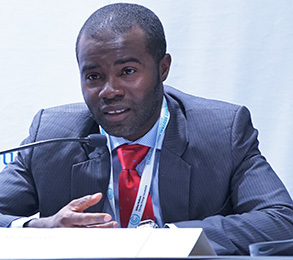 Admasu Nebebe noted the need for direct access to climate finance by fully using public finance throughout the project cycle and underscored the importance of enabling environments. 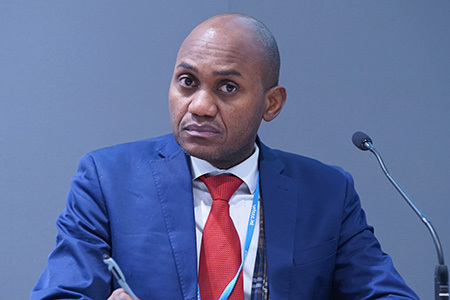 Responding to a question from the audience on attracting private sector finance, Alex Mulisa noted that the Rwanda Development Board has helped increase the perception of ease of doing business in the country. 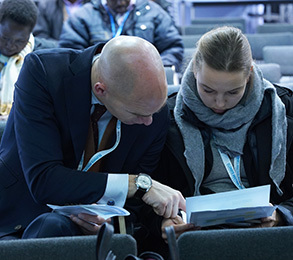 This session focused on the CR4D programme and also included discussion about improving interconnectedness between climate science, services and policy to improve co-generation, quality, access and dissemination of climate information services. 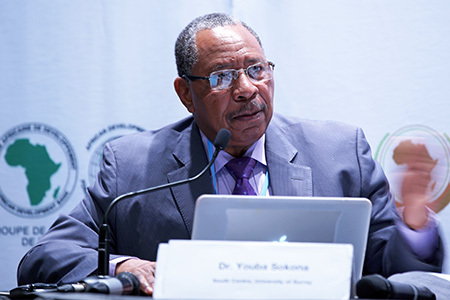 Wilfran Moufouma-Okia, Climate Science Expert, UNECA, said that understanding the dynamics of the climate in Africa is crucial to be able to adapt. 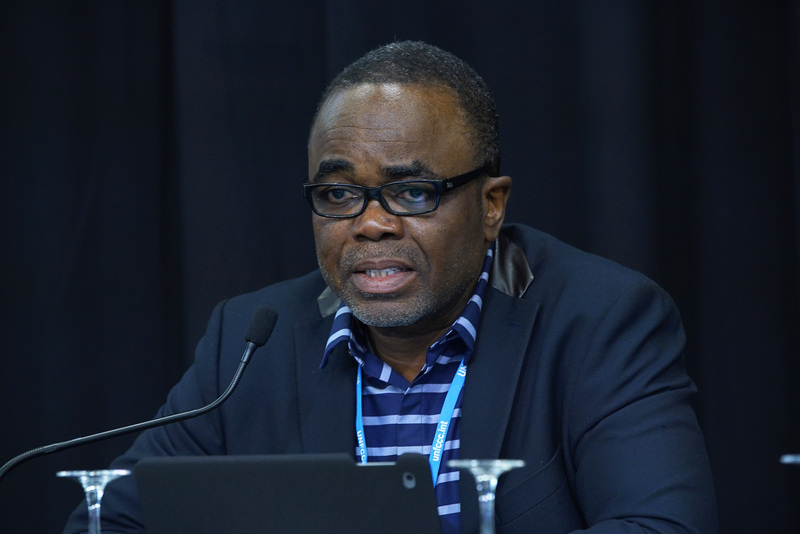 For historical reasons, he said, Africa lacks an observational network as well as human, science and technological capacity. 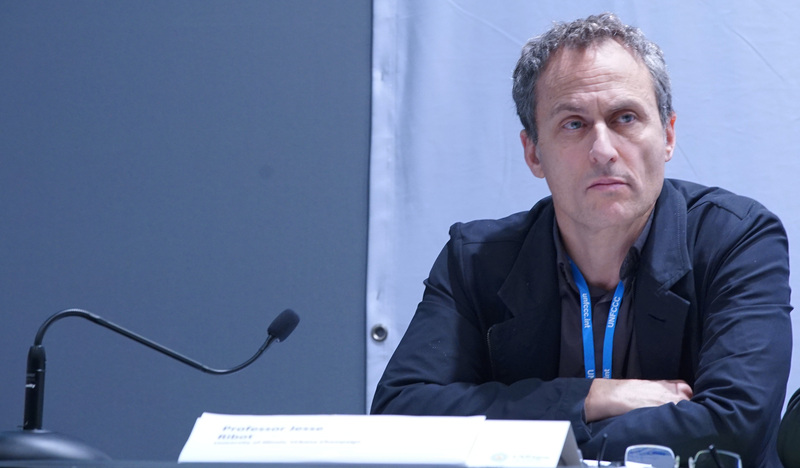 Climate data is useful, he said, not only for managing risk but also for taking advantage of opportunities. 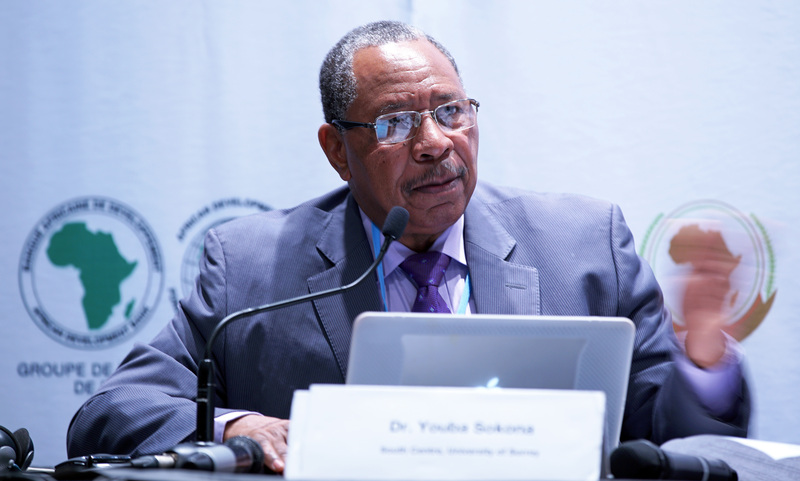 He highlighted the importance of the Africa Climate Conference 2013 held in Arusha, Tanzania, that helped establish the CR4D as a platform bringing together institutions and stakeholders to share knowledge and address challenges regarding climate research and information. 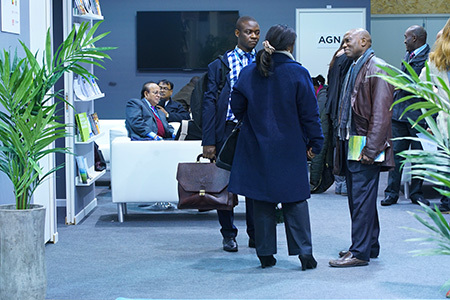 The CR4D Secretariat, he said, is based at UNECA and has a structure incorporating a Scientific Advisory Committee that sets priorities. He noted that the three intervention areas of CR4D are: to package and disseminate information; provide quality analysis for decision support and management; and spur informed decision making through awareness raising and advocacy. 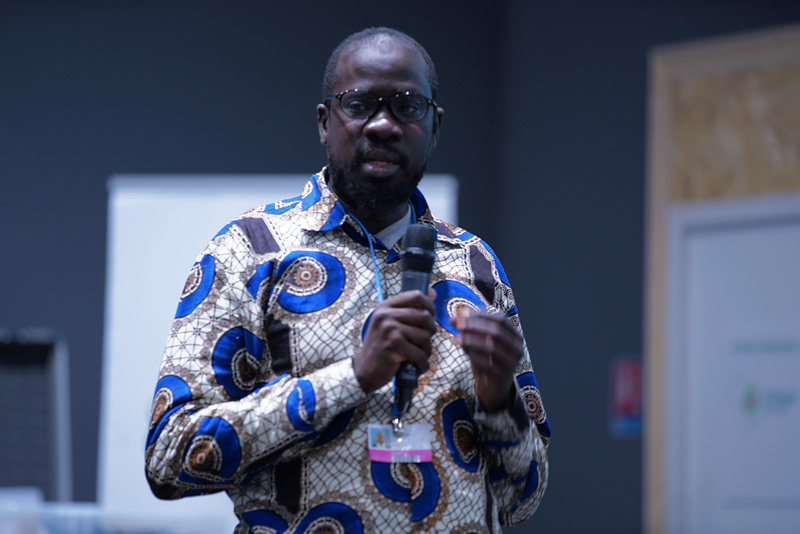 Ousmane Ndiaye, Head of Research and Development, National Agency for Civil Aviation and Meteorology, Senegal, talked about dissemination of climate and weather information to farmers. 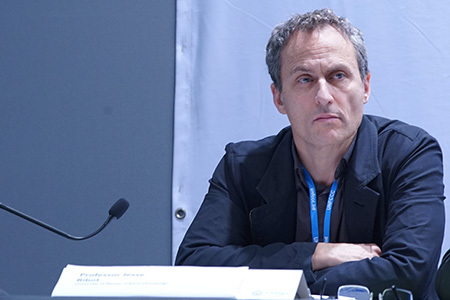 He described the incredibly wide variation in rainfall throughout West Africa, a point he underscored by noting that a single weather event in Burkina Faso in 2014 produced more rainfall than the rest of the days of the year combined. 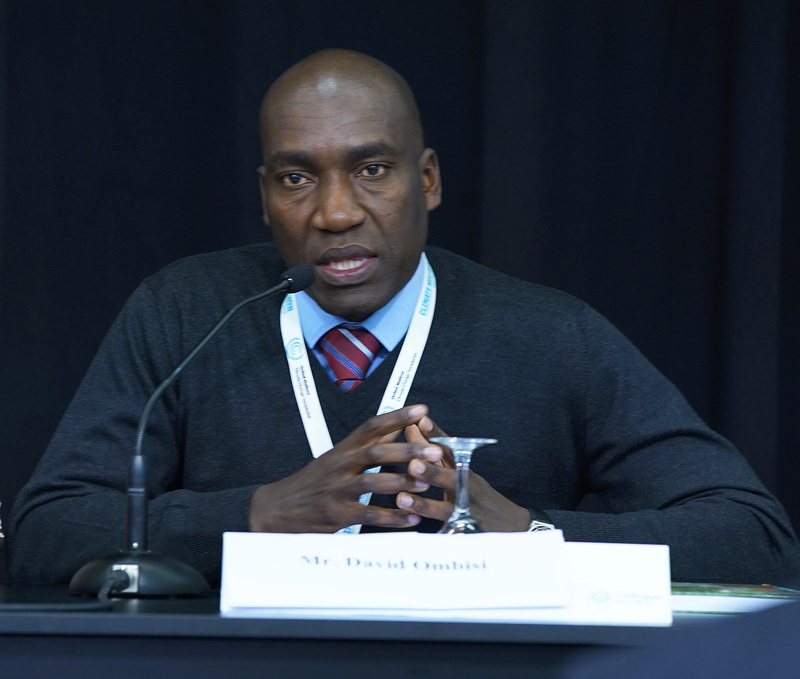 Although advanced climatic data is essential, he said, it is absolutely crucial to build on local knowledge by talking to farmers and using their traditional familiarity with land and weather as an additional indicator in models. 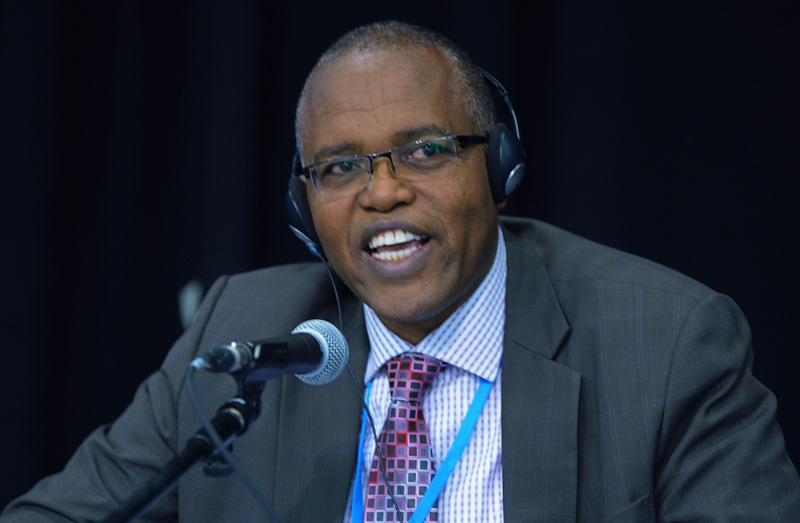 He highlighted the importance of using community radios to share weather and climate information because they operate in the local languages. 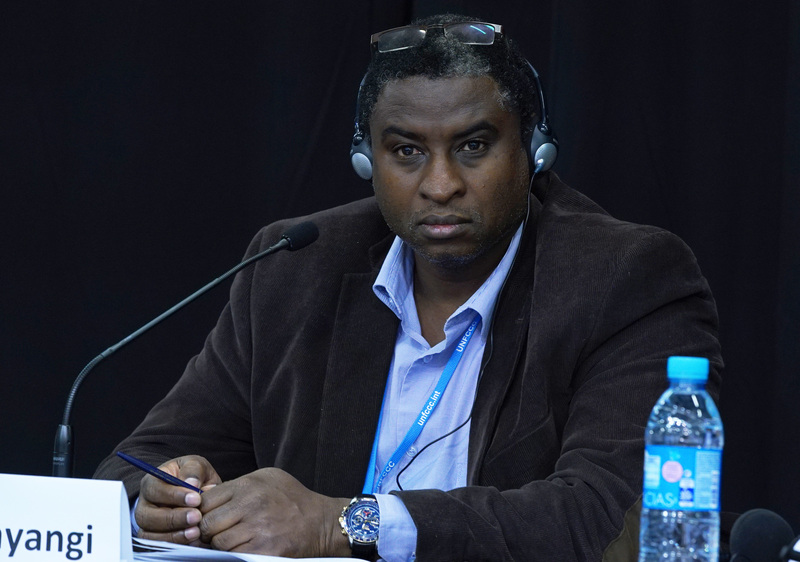 Andre Kamga Foamouhoue, Project Manager, ACMAD, said that CR4D should consider optimizing downscaling tools. 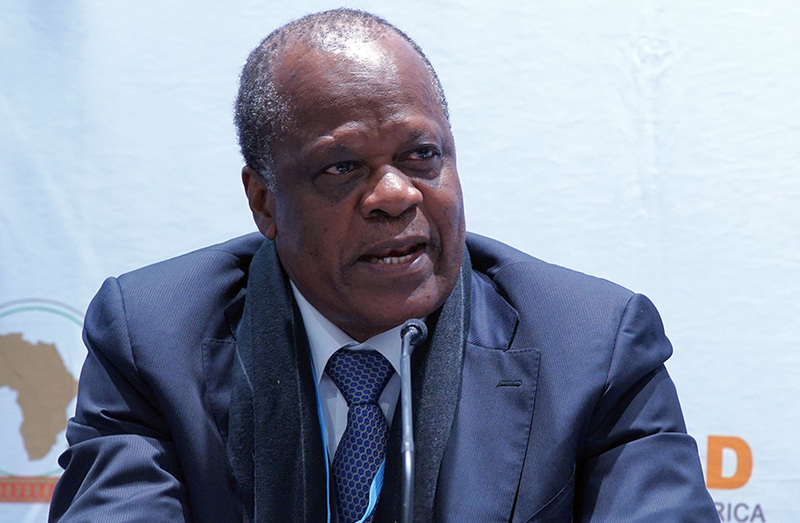 He said the CR4D should inform African negotiators at COP 21 about the expected impacts of climate change on the continent. He noted that in particular it is essential to understand what 2 degrees Celsius warming means in terms of the start of the farming season and rainfall variability. During discussion, audience questions focused on: the impact of migration due to climate change; the way to convey information to policymakers; the lack of input from African science and the problem that much of science taking place in Africa happens in a non-African paradigm; the importance of building policy-relevance into all programs; and how to generate political will. 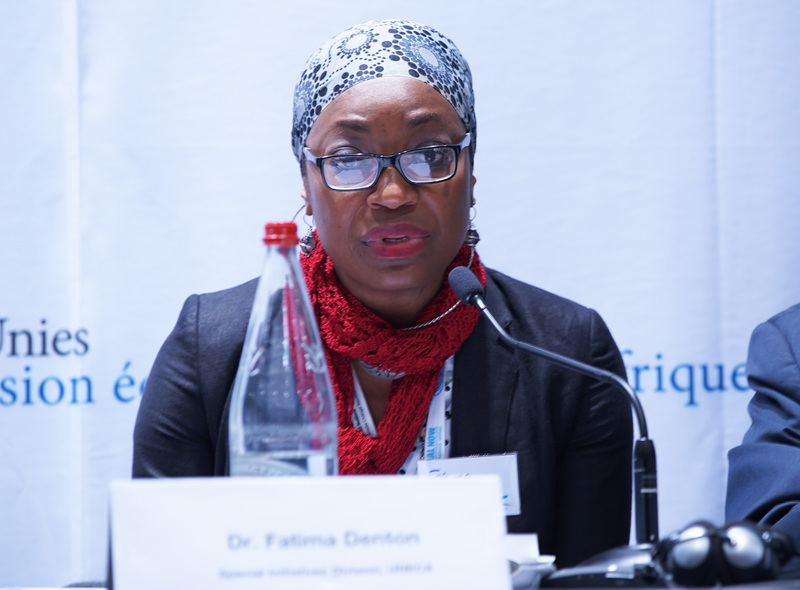 Fatima Denton, Director, Special Initiatives Division, UNECA, offering a comment from the audience, said when Africans come to the climate science scene the parameters are often already set. She said that adaptation and mitigation are two response strategies that have become institutionalized by the UNFCCC but that Africans were not there formulating those strategies from the beginning. Therefore, she said, there is a need to find a way to “own the research agenda.” She illustrated this point using the example of the IPCC, noting that the chapters and their themes are already set and it is rare to be in the room at the agenda setting table. African scientists, she said, are simply assigned a chapter to work on. 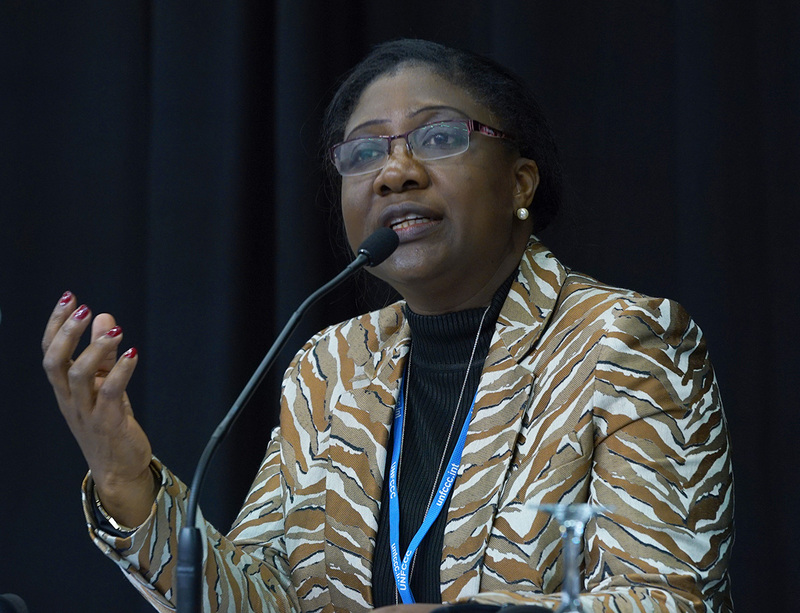 Part of addressing the problem has to come from African scientists who can claim the research leadership, she said. 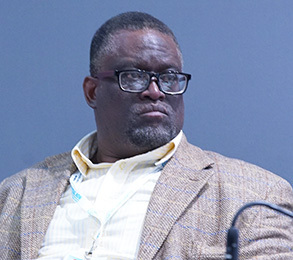 Ousmane Ndiaye noted that CR4D can do more to enable young scientists in Africa to begin publishing their work in journals, and underscored the need for more academic journals in Africa along with a pool of African peer-reviewers in order to build a body of work that is heard, respected and utilized.